We looked at the top 10 Coffee Grinders and dug through the reviews from 142 of the most popular review sites including Coffee or Bust, All Listings, Fourth Estate Coffee, Roasty, Fried Coffee, Tech Gear Lab and more. The result is a ranking of the best Coffee Grinders. Our experts reviewed the top 10 Coffee Grinders and also dug through the reviews from 142 of the most popular review sites including Coffee or Bust, All Listings, Fourth Estate Coffee, Roasty, Fried Coffee, Tech Gear Lab and more. The result is a ranking of the best of the best Coffee Grinders. The Cuisinart burr mill boasts 18 different levels to grind your coffee beans, ranging from ultra-fine to extra coarse. It also guarantees beans are consistently ground to the right grade, which maximizes the oils, aromas and flavors. One con of this model: the loud noise produced during grinding. DWYM Kitchen Experts plus BestReviews, Dripped Coffee, Fourth Estate Coffee, Coffee Bean Grinder+, The Coffee Chronicler, 2 Caffeinated and 1 more. Along with user reviews from Amazon, Target, Best Buy and Walmart.
" Extremely large bean capacity. 18 grind options make it very easy to control the coarseness of the grounds. 8 oz. bean hopper. Automatically stops when set cycle is complete." "Quite loud and The fine setting is quite flawed"
The budget-friendly price is attractive, but there's also a lot more to love about this compact grinder. It is ideal for espresso lovers because it can produce a very fine grind. It also transforms beans into grinds in a flash. Additionally, it is versatile and can also be used as a spice grinder. DWYM Kitchen Experts plus BestReviews, Fourth Estate Coffee, Get A Coffee Maker, Coffee Bean Grinder+, Heavy and 1 more. Along with user reviews from Amazon and Target.
" Powerful, 200-watt motor, inexpensive, especially given its feature set and performance. Holds 3 oz. Uniformly grinds beans in 10 secoonds. 2 years warranty"
"As with all blade grinders, it runs hot and can scorch your beans.Kicks off a fair amount of dust so it’s advisable to use a paper filter.Hard to control ground coffee size"
This conical burr grinder is a workhorse. It features a wide range of 40 coarseness settings to match exactly what you want. It produces uniform grounds quickly and relatively quietly. Plus, it's simple to operate and built to last, so it's well worth the $100+ price. DWYM Kitchen Experts plus CNET, New York Times Wirecutter, BestReviews, Dripped Coffee, Coffee or Bust, The Coffee Chronicler and 4 more. Along with user reviews from Amazon.
" The Baratza Encore burr grinder is affordable considering it packs 40 coarseness settings to supply a wide range of coffee types and brewing styles. It produces grounds that are uniform in size and texture. It's simple to operate, sturdily built..."
"The dosing unit is difficult to use, and the motor is noisy"
This compact, portable coffee grinder is an excellent value. It's simple to use and works very well with a small amount of beans, making it a solid entry-level option. Comparatively, it can be more difficult to clean, and some criticize its level of power. DWYM Kitchen Experts plus BestReviews, Coffee Bean Grinder+, Roasty, Heavy. Along with user reviews from Amazon and Walmart.
" Small and potable. An entry-level, low-cost model. Simple and very easy to use. Works very well with small amount of beans.Retractable cord and safety on/off features are nice bonuses." "Grinds only small amounts, Sometimes there seems to be some sort of cord malfunction, Cleaning with water disrupts function, Not enough power and Poor quality"
We identified the majority of the coffee grinders available to purchase. 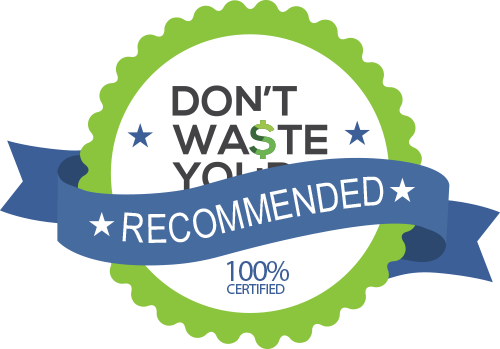 Reviews from our DWYM category experts and analysis of some of the most respected sources including: Coffee or Bust, All Listings, Fourth Estate Coffee, Roasty, Fried Coffee. We also incorporate user reviews from the leading retailers including Amazon, Walmart, Target, Best Buy. Extremely large bean capacity. 18 grind options make it very easy to control the coarseness of the grounds. 8 oz. bean hopper. Automatically stops when set cycle is complete. The main reason to choose this grinder over the run-of-the-mill blade grinder is that the Cuisinart Supreme grinder employs burrs to grind its coffee. It’s Affordable, It’s Easy to Operate,18 Ways to Grind, and It lasts! Easy to use, Electric timer which turns off unit automatically, Fast service feature with a 40-second grind for 12 coffee cups simultaneously, Easy to clean. A large number of settings for a custom grind. Large capacity bean hopper. A bit expensive, but if you drink lots of coffee, it is worth it. Pouring finely ground coffee out can be messy. This grinder is also extremely loud – like a jackhammer. This can be a problem if you are brewing coffee every morning and wake up the entire house. 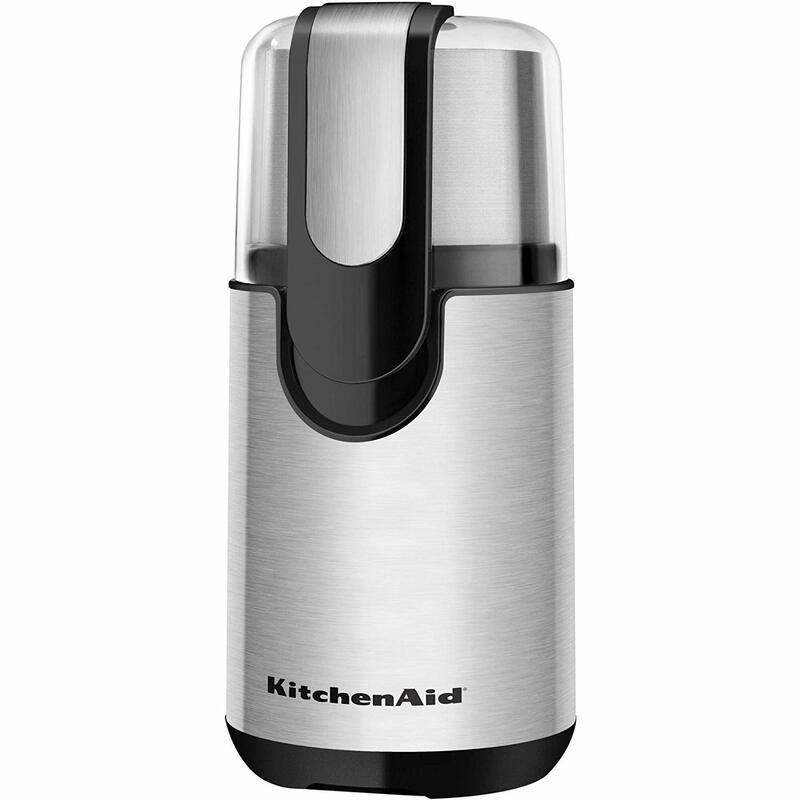 Lid activated safety switch,Two-year warranty,Three-ounce capacity,200-watt heavy-duty motor,Durable stainless steel blades. Affordable,Two Year Guarantee, Powerful Motor for Speed,Safety Lock, Customized grind selector, Easy to use,Capacity to grind beans 12 cups of coffee. Small as it might seem, it is a powerful grinder. It will mill for you up to 12 cups of perfectly even coffee within seconds.It is operated by a powerful 200 watts motor, which is responsible for speedy yield and silent action..
Once you savor your first sip of freshly ground and brewed coffee, you will never go back. The change in flavor is so striking that any old pre-ground bag won’t cut it anymore. And that’s perfectly fine. 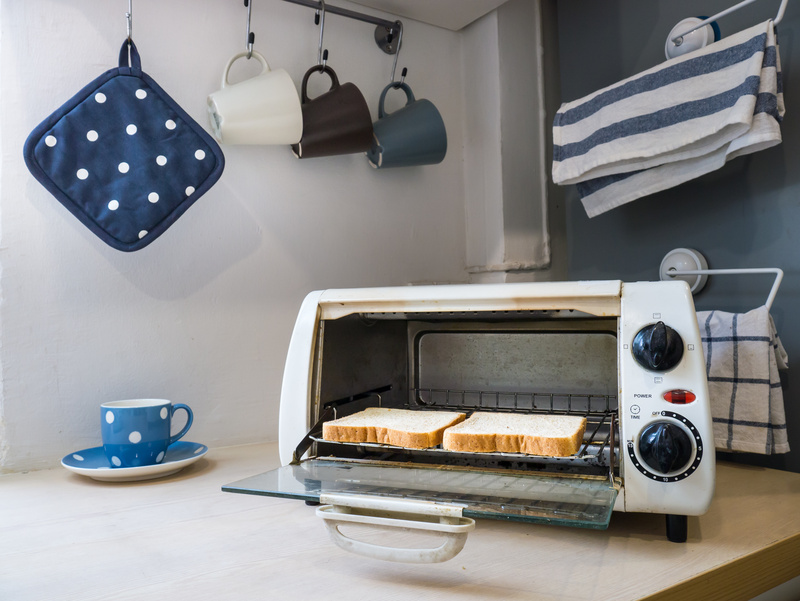 It also means you’ll need to add a new gadget to your morning coffee routine to match your elevated expectations. There are many different types of coffee grinders available. So, knowing which one is right for you to make your best coffee is crucial. 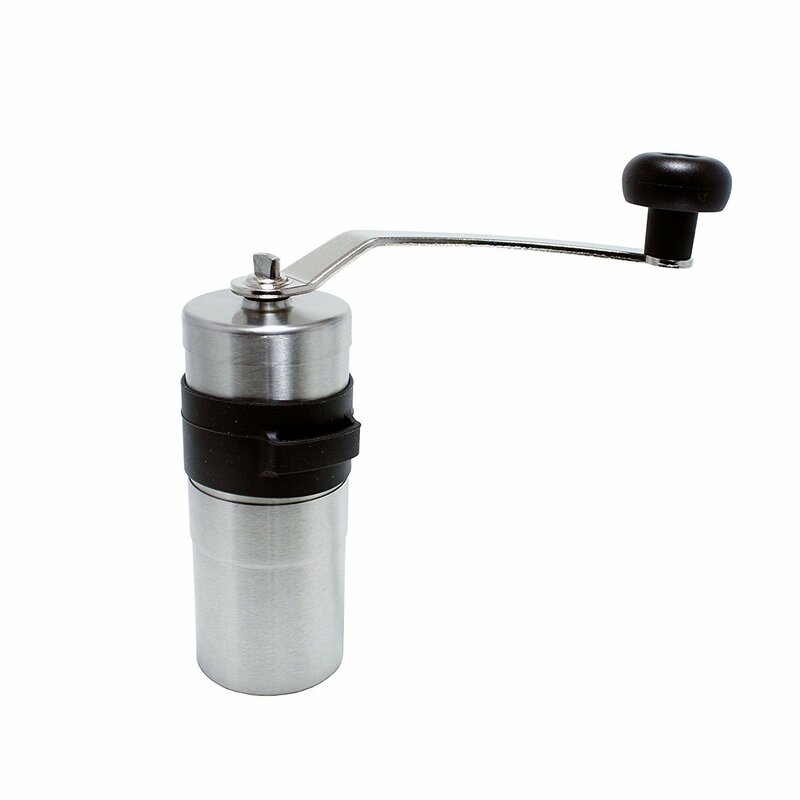 A grinder may just be the most important coffee-making appliance and the key to brewing high-quality cups every time. If you’re still not convinced a coffee grinder is a necessary kitchen gadget, consider this. There is a scientific reason why you should grind your coffee immediately before brewing. Once ground, coffee gets stale very quickly. The primary reason coffee gets stale is oxidation. The oxygen molecules in the air react with flavor compounds in coffee and cause them to break down. Over time, your coffee’s oils will go rancid, and the aromas will dissipate. Even the most unique coffee turns to bland generic flavors when left to sit too long. As a result, when you purchase a pre-ground bag from the store, it’s likely already lost flavor and gone stale. Naturally, you want the best tasting coffee you can make, not a chemistry experiment on your counter. Thankfully, there are a few ways to preserve coffee’s fresh flavors longer. The best way is to purchase whole bean coffee and grind it for brewing each time. There are several types of coffee grinders available. For starters, there are blade grinders, which are similar to a blender. They feature a spinning blade that pulverizes the coffee beans into pieces. This means you get an inconsistent grind. Admittedly, that is not ideal for brewing your best tasting cup of coffee, which is the goal in the first place. The blade grinders will improve upon pre-ground though, so they have that in their favor. The next level up is a burr grinder. Burr grinders rely on the same general principle. They feature sharp cutting surfaces with precise adjustment in order to chop up the coffee in a customized and controlled manner. That results in more consistent grinds every time. The burrs, or cutting surfaces, can be flat, conical or a hybrid made of steel or ceramic. Each grinder will have two burrs, set opposite each other so the beans will get stuck and efficiently cut from both sides. Good quality burrs are extremely sharp and durable. Even small, portable mills can hold high-quality burrs and produce excellent ground coffee. For example, the Proctor Silex Fresh Grind Coffee Grinder and KRUPS Electric Spice and Coffee Grinder are both compact and budget-friendly options for those new to coffee grinders. The KRUPS Electric Spice and Coffee Grinder is especially good for espresso lovers, as it produces a consistent super-fine grind perfect for strong brews in espresso machines. Burr grinders will come with a range of grind settings, from coarse to extra fine. Some have as many as 40 different fine-tuned settings, like the BaratzaEncore Conical Burr Coffee Grinder. However, the automatic Cuisinart Supreme Grind Automatic Burr Mill with 18 settings will offer plenty of variety for most home brewers. So what does the price hike get you? Unfortunately, not an at-home personal barista but essentially the next best thing. Real steel burrs go a long way to producing better grind consistency, which in turn makes a better cup of coffee. Consider the additional cost as an investment. A well-made burr grinder should last you longer than five years if you take care of it. That extensive usage would work out to mere pennies per use. That seems like a totally reasonable price to pay for a better cup of coffee. It may seem like perfectly grinding coffee beans is a modern convenience. But that’s not the case. In fact, coffee grinders have a long and curious past. The very first coffee grinders were primitive but functional. Ancient coffee lovers had to use stone mortar and pestle to grind their coffee beans. It wasn’t until the 15th century, that people began using the spice grinder instead of stones. They could grind coffee much finer than with the rocky predecessors. It sufficed for a couple more centuries before people got inventive. In these ancient cultures, coffee was highly respected and important to their daily life, not unlike today. As a result, Turks developed beautiful grinders still made and used today. In the late 17th century, Nicholas Book invented the earliest coffee mill in England. His claim to fame was the first mill made specifically and solely for grinding coffee beans, not spices. However, some credit English blacksmith Richard Dearmann as the coffee grinder inventor. More coffee mill variations soon followed and by the end of the 19th century, most homes in Europe and the U.S. had a coffee grinder. By that time, the technology was essentially perfected. Still, in the intervening years, coffee culture and the tools used to enhance it grew and refined. Companies continue to upgrade the whole experience today, with tips and tools that allow anyone to brew exactly the coffee they enjoy each day. Some regions still use mortar and pestle to grind coffee beans, but manual and electric burr grinders offer a clear advantage in modern kitchens. There are two main types of coffee grinders, burr mills and blade grinders. Burr mill grinders will produce a more consistent and predictable grind every time because of their design. Be wary of faux burr mills, which are cheaper and appealing, but are composed of less durable materials and will not perform as well as true burr mills. Once ground, coffee stales very quickly. The coffee grinder solves this problem by enabling users to grind just enough coffee beans each time they brew a pot or cup of coffee. It ensures the flavors and aromas are as robust and flavorful as possible. Coffee grinders come in a range of sizes, varying from small portable grinders up to full-size countertop models. Coffee grinders are adjustable and can produce a variety of grinds from very fine to coarse, depending on what type of brewing system you plan to use. The more expensive grinders generally have more fine-tuned grinding adjustments. Grinders allow you to easily switch between different brewing methods, experimenting with fine grinds for Turkish or espresso all the way up to coarse grinds for cold brew and everything in between. For the Coffee Grinder category, we analyzed 142 of the most popular reviews including reviews from Coffee or Bust, All Listings, Fourth Estate Coffee, Roasty, Fried Coffee, Tech Gear Lab and more. The result is a ranking of the best Coffee Grinders.